i just read on here that 97% of people who quit cold turkey fail within the first 6 months. I’m scared. On 46th day. I have never heard that. Where did you read that? Who wrote it? What was the basis of the information? A wise elder once told me "don't borrow trouble. I will look and see if I can find what you are referencing. No matter what statistics you find, they don’t relate to Melissapowell. You make your own rules, your own decisions, and the internet statistics have nothing on YOU. Melissa is the only author of Melissa’s story. You get decide how it all goes down. Look. It’s hard to quit, we all know... But you have done the work. This is Day 46. The physical dependence has all but resolved. Now it’s just a matter of not wanting to go BACK. My point is, it doesn’t matter what statistics or half-truths or studies you find. None of them relate to YOU. You are in control here, Melissa. You’ve got this! Unfortunately, 94% of people who quit smoking will fail within 12 months no matter what method they use to quit. I'm curious what study you read as well. Every study I've read that show NRTs as being more effective has major flaws. Usually with the placebo group, and having no real cold turkey group. But also by NOT asking the participants if they are still using the NRT long after the prescribed 10 week course. And this is certainly not a controlled scientific study, but everyone I personally know who quit using NRTs is either still using them years into their quits, or they relapsed and are smoking again. Everyone I personally know who quit cold turkey is still quit anywhere from 28 years to 13 months. You are doing SO well despite the odds being stacked against you being laid up for so long like you were. If anyone can beat the odds to join that 6% club of quitters, it is you! I’m a real newbie, but I’ve got to say that I read a lot of those stats, too. At first they were sorta comforting, because if I failed to hang on to my quit, I could rely on those stats as an easy excuse for my own weakness. I can’t afford to hang on to that mindset if I really want to quit smoking though, so I quit reading anything connected to statistics. Besides, I’ve read too many different stories on this site to believe those statistics apply to every person. Pay no attention to those statistics. You have the power and strength to keep your own quit no matter what the numbers say. You are doing great! TomW5.15.17 is correct in his statistic......it is why you will see us congratulating those at their one year quit mark and welcoming them to the 6% club. However kristen-9.7.15 is also correct. No one ever lost their quit because of a statistic......it's a choice we make to smoke or not. Don't be scared.......be strong. Make the right choice and don't smoke. Yes, for goodness sakes as JACKIE1-25-15, PLEASE don't borrow trouble. Thats something you do not need in your head right now to dwell on. Fill yourself up with positive thoughts. I had heard ( and I am a cold turkey quitter) that cold turkey quitters have the best chances of staying quit. NOW, I have no idea if that is true or not, because being quit and staying quit is whats important to me, not the method. BUT it was a positive thought I allowed to sty in my thoughts. For that day, for everyday, it is a good thought. Statistically, your chance of marring a Chinese person is 50%. Good point. For that matter, the U.S. is only 4.3% of the world's population. So you have a 95.7% chance of marrying a non-American. FYI, I quit cold turkey, and I am happy to announce that I am on day 255! Because S.I.N.A.O. anymore! I just can't keep doing something that is harming my body! Something that takes up so much of my time that I can be using for other things! Wasting money for something that is literally killing me slowly! SMOKING IS TRULY ONE OF THE MOST STUPIDEST THINGS YOU CAN DO! SENSELESS! Congrats on joining the TDC GyorgyiM Way to go ! Toot Toot! Look away from Lorelai-- stay on course, work your smobriety, stick with Ex. Smobriety comes with action not statistics. Yes you can one day at a time. And, um, yes you did 46 days in a row. Good for you. 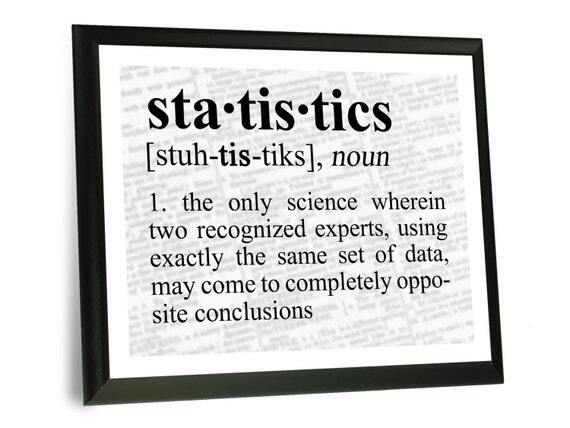 Statistics mean something only if you want them to. They can make you feel good or bad. Hopeful or fearful. But you don't have be a statistic in your mind. As a matter of fact, the most successful people don't put themselves into categories, because it doesn't serve them to do so. Those 46 days quit can mean a lifetime quit, or a relapse tomorrow. Point being YOU are in charge of the choice, not what some statistic says. Do you want to be scared or assured? It's really your choice. If you understand the quitting process and the path ahead, there is nothing to be scared of as along as you adhere to never putting another cigarette in your mouth. No matter what. Sure you're gonna have cravings. And some will knock you off your feet. But if you agree to never putting a cigarette in your mouth, for any reason - you won't become the statistic you fear. Ya know? If you don't waffle you won't wobble as much. Quit cold turkey June 10, 2010 and getting ready to celebrate eight years without cancer sticks. Congratulations on Day 48 - working toward your second month of freedom! Way to go, Melissapowell !! !